Late June in the 1980's, us kids wouldn't be able to play with a full team of sort -of two hand touch football on Saint Anthonys Parking lot. Many of the boys would be on that twelve hour trip to South Of the Border for fireworks. The dads would go and buy a huge load of fireworks that were illegal to have in Jersey. They went down to that funny looking gas station in South Carolina. 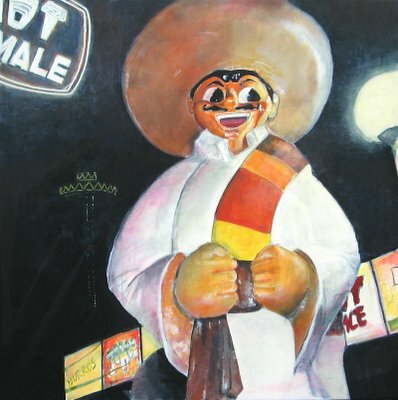 About a hundred miles out from this place, large cheesy billboards would announce that "Pedro" with his funny sombrero can't wait to see you at South of the Border. Many of us Cuban folk also know Pedro as the exact halfway point from Union City NJ(Cuba North) and Miami Fl(Cuba South) on the 95 Interstate.